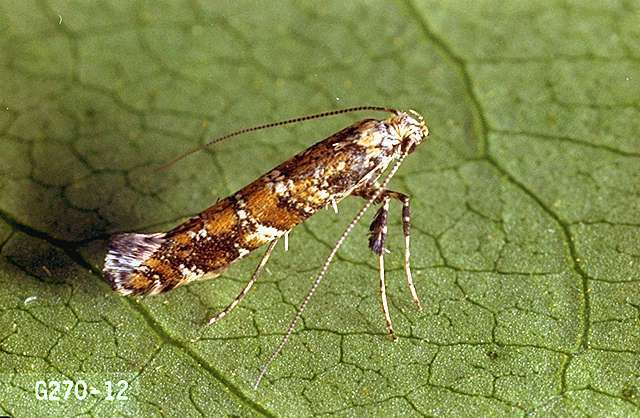 Pest description and damage The adult insect is a golden yellow moth about 0.5 inch long. The larvae are small, pale yellow to green caterpillars, 0.125 to 0.25 inch long. 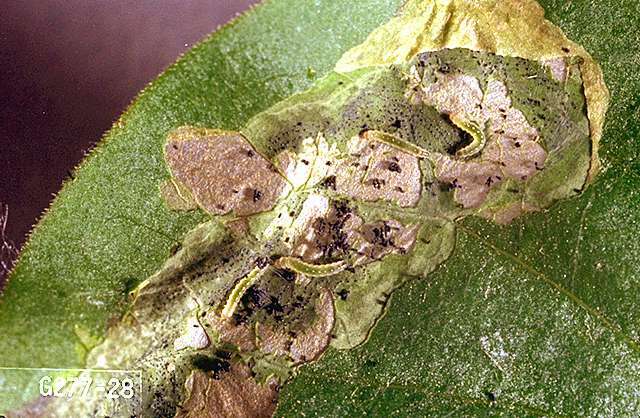 The larvae mine leaves during the early part of their development. 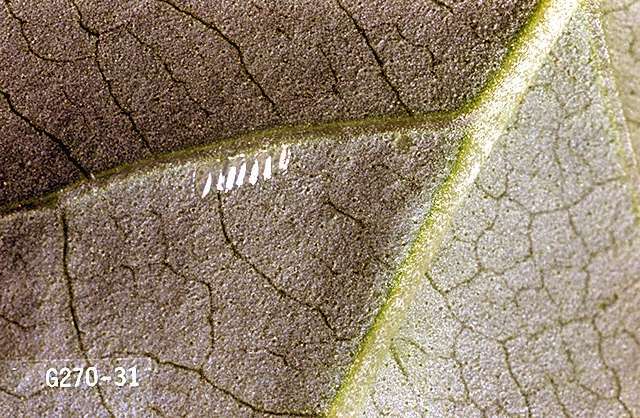 Later larval instars are responsible for rolling and skeletonizing leaves.